Sava Tang Alcantara has been a writer and editor since 1988, working as a writer and editor for health publications such as "Let's Live Magazine" and "Whole Life Times." Alcantara specializes in health and fitness and is a certified yoga teacher and personal trainer. She does volunteer work regularly and has taught free public yoga classes in Santa Monica, Calif. since 2002. Made from olive oil, Castile soap is an ingredient in many skincare products, including liquid soaps used to wash the face and body. Consider using a non-soap face cleanser, glycerin or other vegetable or nut oils. 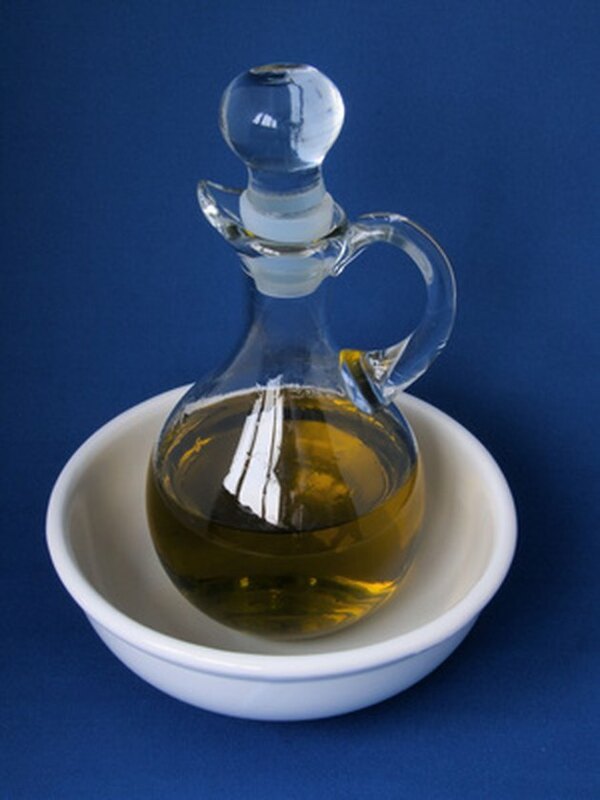 For example, many dermatologists recommend non-soap cleanser to clients who find olive oil irritating to their skin. Dermatologists often recommend non-soap cleansers, such as Cetaphil, because they do not contain any kind of soap that could irritate sensitive skin. Cetaphil, or its generic counterpart, has a thick consistency. You apply it to your face and rinse it off with water or wipe it away with a clean facecloth. Fragrance-free, you can buy Cetaphil in most drugstores. Glycerin soaps are widely sold in grocery and specialty stores. You can buy them as unscented bars. In specialty stores, you can also purchase glycerin flakes if you want to make bars of soap at home. Glycerin is a gentle soap that will last longer if placed on a soap holder that allows it to dry completely. Otherwise, it will disintegrate in a matter of days. According to the Environmental Working Group, glycerin may be derived from animal sources and also contain petroleum products. Petroleum byproducts can cause skin irritation in sensitive users, and some consumers avoid petroleum products because of environmental or political concerns. High-end, specialty skincare manufacturers produce soap-free facial cleansers made from olive, coconut and other vegetable and nut oils. Olive oil has the antioxidant hydroxytyrosol, and, like all antioxidants, it can help protect skin from free radical damage, which occurs when you expose your skin to the sun. Olive oil also has squalene, which help oxidation of the skin's natural sebum to help protect the skin. To experiment at home, you could use a small amount of sweet almond oil and use clean cotton balls to sweep it over skin to remove makeup. Continue until you have removed all makeup and splash your skin with water to cleanse it completely. Follow with an astringent and moisturizer. What Is Glycerin Made From?